As far as rich velvets are concerned, this is the most complex we’ve ever made, from the setting of the loom to the actual weaving process. 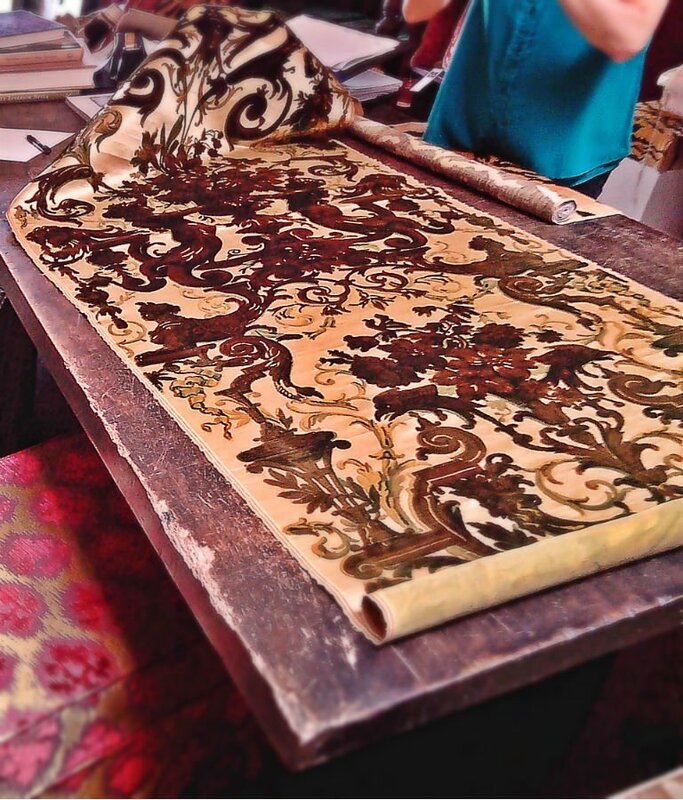 This is the story of the Italian fabric for chairs we’ve created for the Kremlin palace in Moscow, of all the efforts it took and of the sense of gratification it gave. When we were commissioned to make this upholstery velvet – namely to cover some chairs – we didn’t know if we could do that. We didn’t have any loom ready to take on such a challenge. 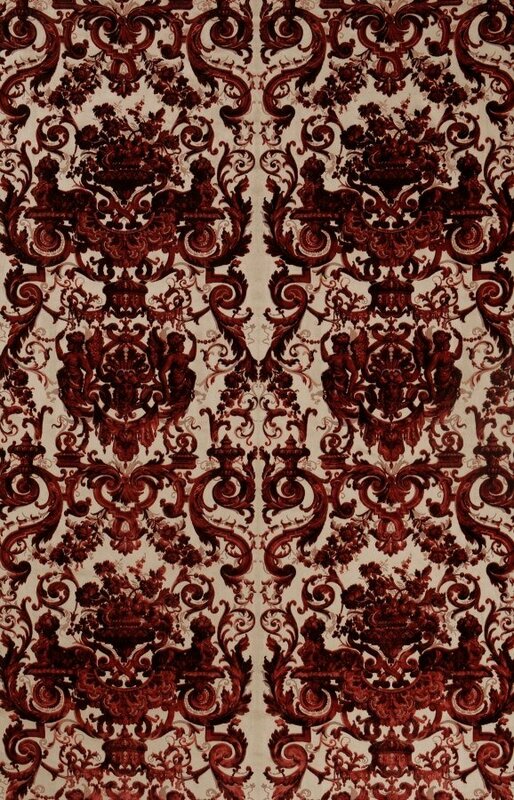 The model our customers had shown us was a French pattern dating back to 250 years ago, similar to our Grottesche velvet, which you can see here. The only problem was that the loom used to produce it had been standing idle for 50 years. Our technicians had to rack their brains to understand how to set the machine, the punched cards for the Jacquard loom and the threads’ spools. After solving this problem, our weavers had to arm themselves with patience: even if the colours where only 2 – green and yellow – they had to put on the loom no less than 16.000 threads. Why were there so many? You can understand it by looking at the photos of the final result: the pattern is extremely complex, this is why it requires so many threads. No wonder it took us 6 months before we could even start weaving. Even the very production of this soprarizzo velvet was unusual, for our weaving mill: it was the only case in which two weavers worked on the same loom at the same time. In general, only one weaver can work on a fabric: she needs to set the loom according to her strength, the length of her arm and the tension she requires on the threads. But the velvet for the Kremlin had so many threads that every time the weaver pushed the pedals that moved them, she had to lower 30 kg. Nobody could do that for 8 hours non-stop. So this loom saw the alternation of 2 weavers, working as similarly as possible. The result is something that keeps on amazing us even now, with: the height of the pile, the elaborate design and the different colours it produces when stroking it – turning from yellow and green to brown. And because we know how much effort we put into it.